The Kyrenia Museum of Folk Art situated on the Kyrenia Harbour road and was opened in 1974. It is a fine example of pre XVII. 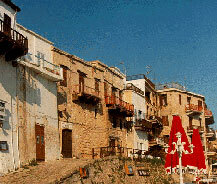 century buildings which have traditionally housed Cypriots. These buildings consisting of a ground floor and a upper floor have their main entrances opening to the harbour. These typical Cypriot houses contain many traditional Cypriot items. On the ground floor, there are items such as oil-mill, plough, agricultural instruments, large earthenware fan, and workbench which were used until recently but are not known by the younger generation. There is a room for a watchman on the stairway leading to the upper floor. The first room of the upper floor there are examples of especially chosen works and handy works (crochet work, materials embroidered with colorful, threads or silver threads, bedspreads, tables covers, head scarves, pillow cases, woollen socks, bowls etc..) from various areas of Cyprus, displayed in glass cabinets. The second room used as a kitchen contain water jugs, wooden mortars, wine bowls, seramic bowls. There is a corner in the third and largest room which was used as a resting place. In the middle of the room, a wooden bed, a wooden cupboard, a cabinet containing various women's and men's clothes, raised wooden shelves with seramic and metal cups displayed upon them. The third largest room has been arranged in this way. It is possible to see, clothes, chests, tables, chair, wall cupboards, doors and windows, in the all parts of the museum.